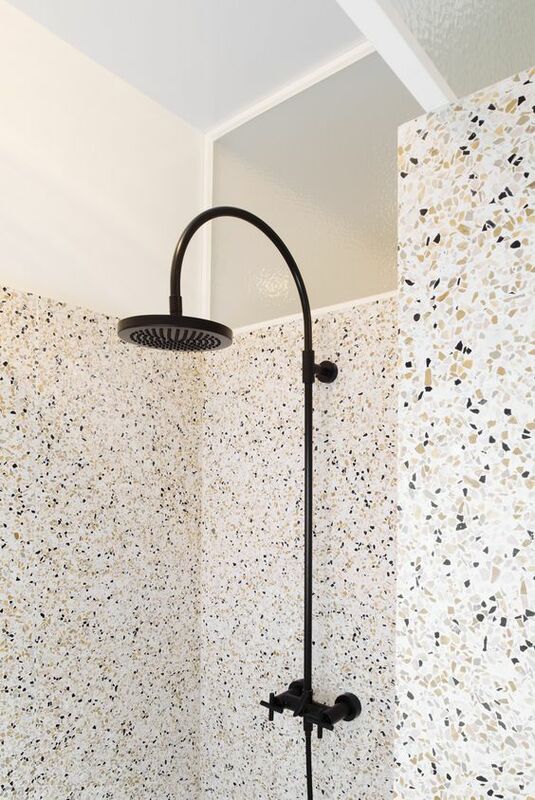 Listen, I am so in love with Terrazzo right now. I've simply GOT to find a project to use it in. Maybe it's because it reminds of the mall I grew up going to, built in probably the 50's or 60's, it was dripping in terrazzo (or at least my memory thinks it was). I was hoping to use it in a commercial application recently and I reached out to a few of the surface material suppliers I've worked with and they all said the same thing: "We stopped offering terrazzo years ago!" and "I don't know anyone who offers terrazzo!". We did work out a solution for that particular commercial client and it's going to be amazing, but, not terrazzo. That's ok. I'll find another use for it yet! It's just that terrazzo is rarely used in mainstream design these days. I'm seeing it pop up in European applications regularly but rarely here. 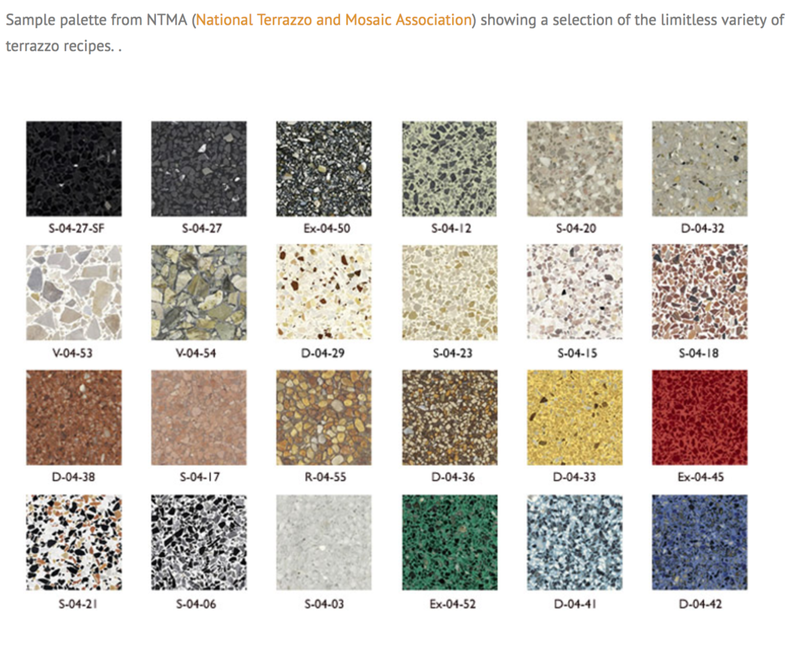 "Terrazzo is a composite material, poured in place or precast, which is used for floor and wall treatments. It consists of chips of marble, quartz, granite, glass, or other suitable material, poured with a cementitious binder (for chemical binding), polymeric (for physical binding), or a combination of both. Metal strips divide sections, or changes in color or material in a pattern. Additional chips may be sprinkled atop the mix before it sets. After it is cured it is ground and polished smooth or otherwise finished to produce a uniformly textured surface." It goes back to the neolithic period (A LONG TIME AGO, so long in fact that it predates production of fired pottery by a thousand years!). In recent years, the binding agent has shifted towards epoxy, which offers more of a range of colors and is less susceptible to chipping but can only be used indoors. There are (as it says below) limitless options of terrazzo and that is perhaps, one of the most exciting aspects of this material. Also, as some of the photos in this post reflect, the material can be used in so many different ways, including: floors, walls, custom molds, furnishings and as counters! Well, there is really endless inspo over on Pinterest. While you're over there, stop by, peruse our boards and give us a follow if you would! Thanks for stopping by and though we've been slacking on this blog lately, we've got some fun travel/design posts planned coming up! Stay tuned and thanks for visiting!